Last night’s game was low scoring by Pakistan did very well to delay the loss. Else if Gayle would have started going boom boom, match could have finished within the first 20 overs ! Bowling is the strength of the Pakistanis but their batting needs huge improvements ! 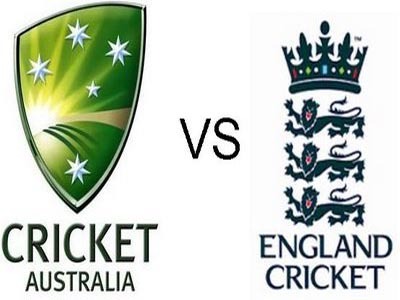 Let’s talk about today’s match – Australia vs England (Group A). The two teams’ matches whenever and wherever played gather a lot of crowd. So how do the two teams fair? Australia: This is by the far the most inexperienced side Australia has ever traveled abroad with. Only few of them have the experience of playing in England. But that doesn’t mean that the team is weak. Their bowling line up is no less than a torture with the likes of Starc, Johnson. With Clarke likely to miss out the first game, things seem to be bleak for the Aussies. England: The team first of all lacks no match practice due to the recently concluded ODI series against the Kiwis at their own backyard. Batting seems to be on track with the likes of Cook, Bell, Morgan and the latest entrant Joe Roots. Their bowling attack have the likes of Anderson, Swann, Bresnan. So will the home advantage help the English Side ?? or will the inexperienced Aussie side choke the home team ?? Watch the live action at 15 hrs on Star Cricket.